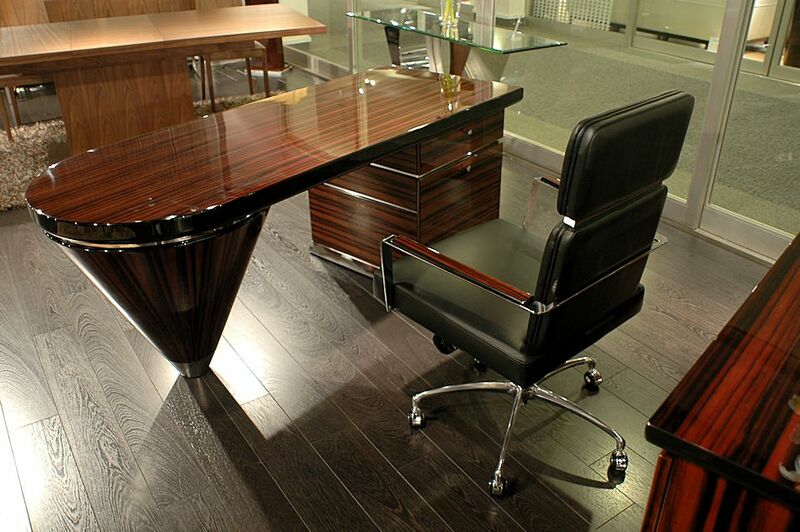 The Evolution desk in Ebony wood finish with polished stainless steel accents. $ 1,750 - HO-337 Office Chair in Black leather. 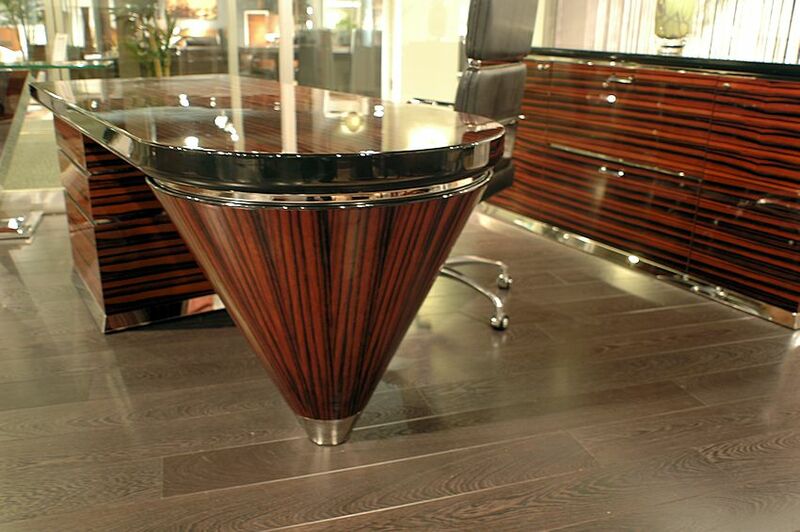 The back of Evolution desk is just as stunning as the front. protecting the wood for generations to admire. And stainless steel never fails. 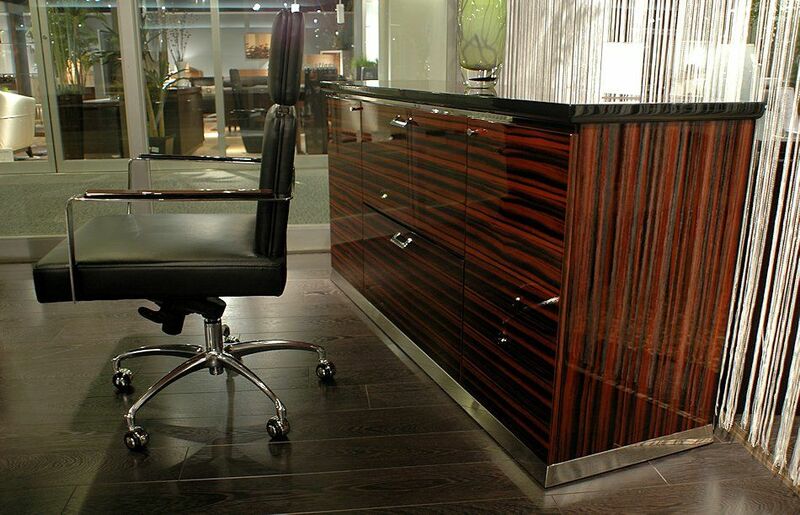 The office credenza is just as stunning as the desk in Ebony high gloss finish.